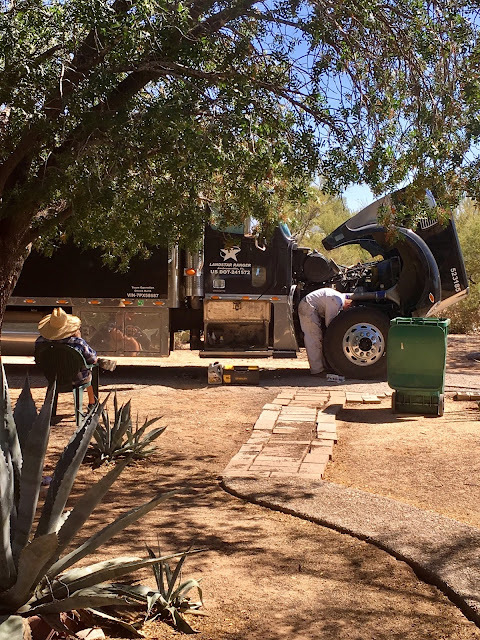 Today we had a mechanic come to the house to work on the truck. That's him, under the hood. Ed is on the guy on the left, sitting in a lawn chair wearing his big straw landscaper's hat, drinking a beer. He's making himself available just in case he's needed. This is what I call full service.